Paper Daisy Crafting: Good news! 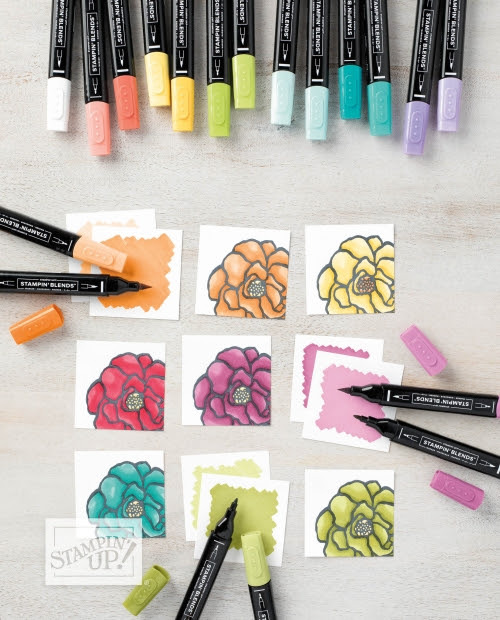 Stampin' Blends in new colours are here! Good news! Stampin' Blends in new colours are here! Another quick post to let you know that the new colours of the Stampin' Blends pens are now in stock. There are some fabulous new colours available, both individually and in combo packs of two (one light, one dark). At the moment I can't get the product links to the new colours of blends to work but if you go to my shop and click "Inks" and then "Blends" you'll be able to see all the colours. The "old" colours are shown below. Which ones will you buy first?